A belated thank you for this beautiful video and all the work the modding community does for the GPL community! Edited by Robert Fleurke, Dec 22 2018 - 07:38 AM. Oh wow cool, i didn't expect this! 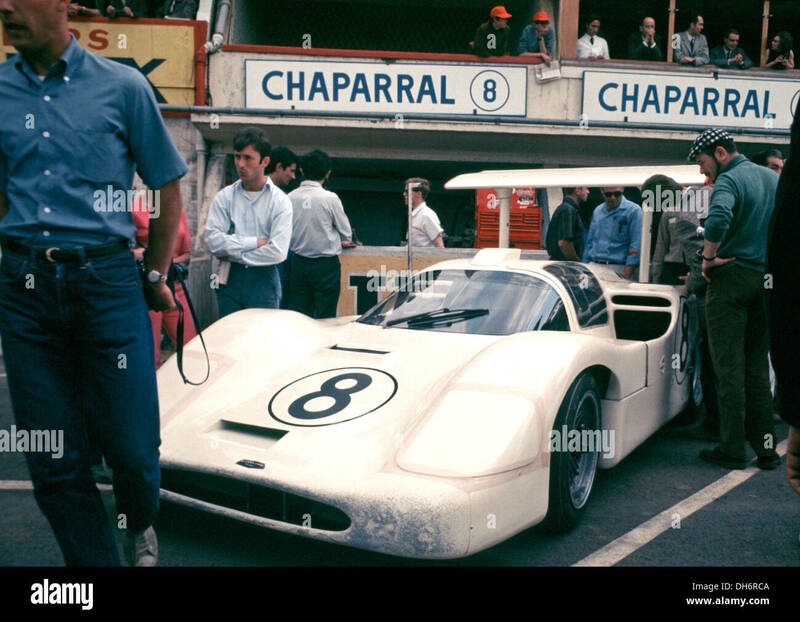 What race is the #20 Chaparral 2F from? I can't seem to pinpoint it. I only ask because the circular outline for the number appears a bit too think and the number itself appears to not be a black (bold) enough weight and is a bit too close to the outline, making it look awkward. From a quick look, Industry, medium weight looks close: https://www.fontspri...efby=identifont (enter 20 in the preview and increase the fontsize to get a suitable image of it). It says this font is from 2013 so it's obviously copying an older font, but i'm not an expert to know what it is copying! I'm guessing it's best to ask these questions on dedicated typography forums. Do you have pictures of the driver name tags on the cars? I can't find any but the font you've used looks like arial which didn't exist at the time and stands out to me. I couldn't find any pictures of the actual name tags though in order to look for something a bit closer. 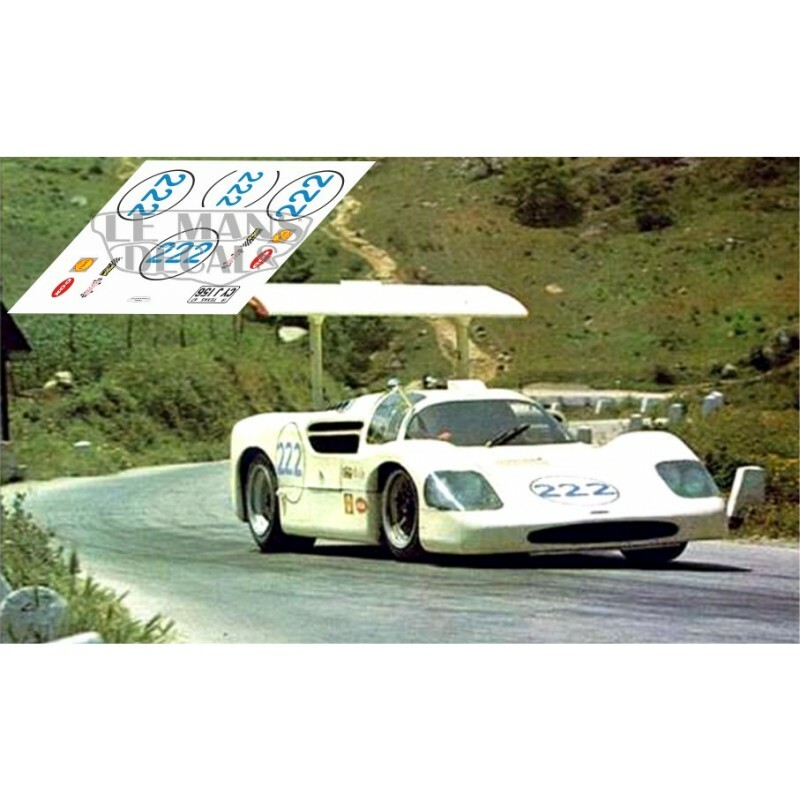 The #20 Chaparral 2F is an online carskin. 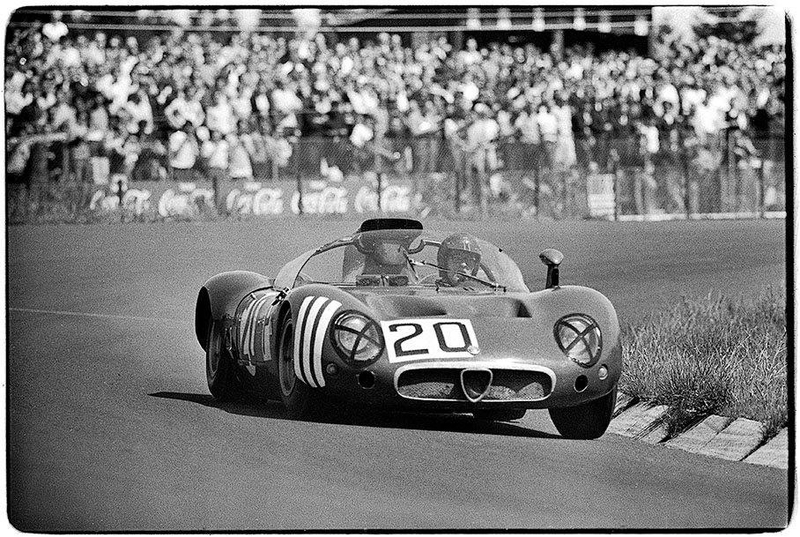 The #20 Alfa T33 is the de Adamich car at the Nürburgring 1000km. In practice this car had round white number bases all around, and was driven by all of the team drivers. 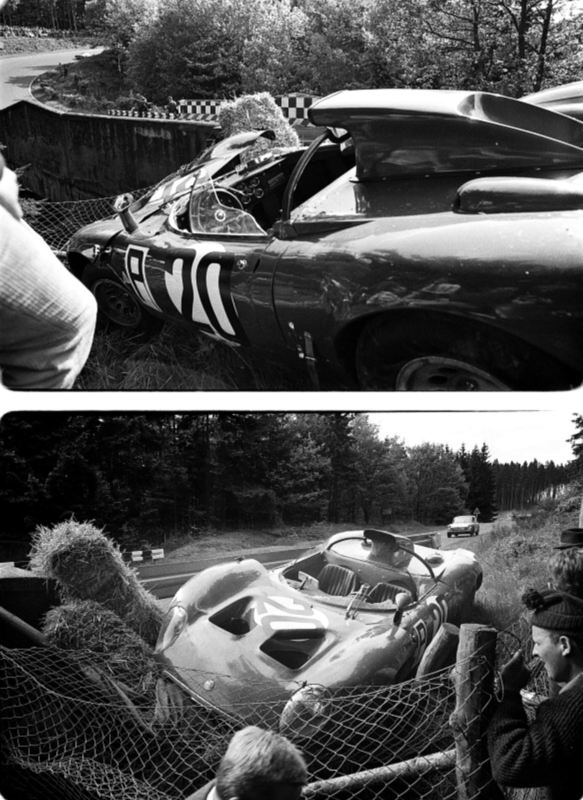 For the race, de Adamich drove it, with the front number on a square white base. Edited by gliebzeit, Dec 22 2018 - 11:12 AM. Fantastische Arbeit, sehr schönes Video ! Vielen Dank. Stefan ! ! ! I can't believe someone is already critiquing trivial details such as the car lettering before the mod is even released. Sorry to show my old, grouchy side, but it's posts like these, even if innocent and intended to be helpful, are the reason some mod team members think that public mods are a waste of time. Edited by ginetto, Dec 23 2018 - 05:24 AM. Sorry, i didn't mean to offend, i was only trying to help and was genuinely interested. I realised there was no way that it wouldn't come across badly so i was aprehensive to post. I will refrain from discussing such trivial details in future, sorry. Lee200, there's a difference from complaining to criticism to feedback to constructive criticism. .... As a mod maker and contributor, I welcome assistance especially when there are areas that can be improved. You know when it's the best time to catch things? Before release. That attitude is disadvantageous to the community and you should consider an apology. Edit: There was some editing on a couple of posts by moderator. The exchange of this and previous posts may look odd now. Edited by Gui, Dec 23 2018 - 09:39 PM. You didn't say anything offensive one2fwee. These movies keep getting better and better. Thanks Stefan, really good one. Edited by John Woods, Dec 23 2018 - 08:41 AM. 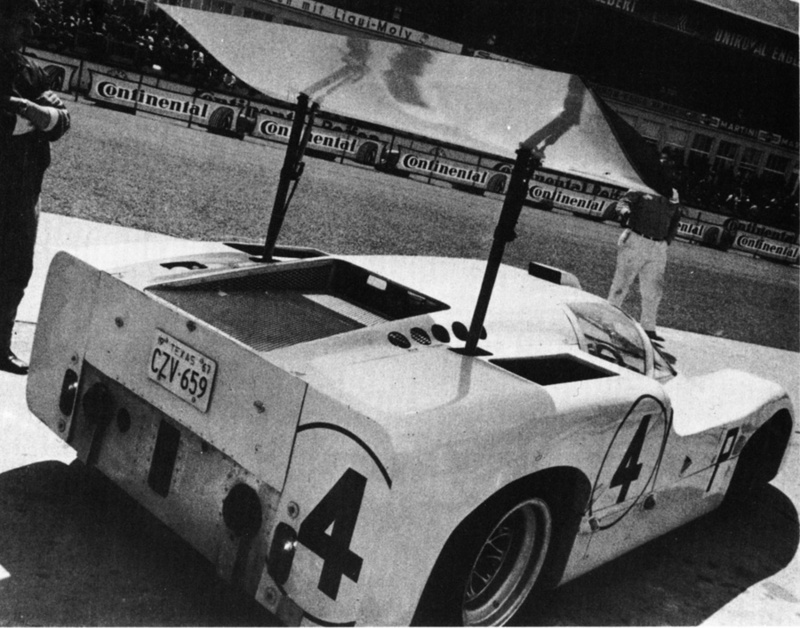 Apologies if this has been explained already but how will the moveable wings on the Chaparral work? Will it be bound to the clutch axis in-game or will there be a new axis specifically for this function? All other cars wish they were Alfas. Edited by John Woods, Dec 23 2018 - 09:25 AM. Edited by TvO, Dec 23 2018 - 08:01 AM. I believe for fewer words or numbers, using or finding fonts isn't necessary, and the result may not be close either. Much better and accurate way is to just draw those words and numbers on top of the reference images, which can be done easily with any graphic program that can draw path (it will be time consuming and requires some good reference images and manually correcting distortion for sure). Edited by SV3000, Dec 23 2018 - 04:30 PM.